For a picture-perfect complexion, this serum features correcting, light-reflecting and radiance-boosting ingredients so that your skin will look flawless in photos – and as-good-as-airbrushed in real life. 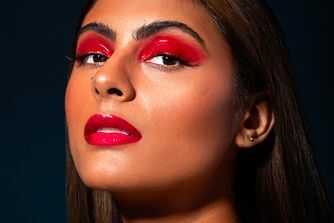 Utilising NIOD's leading-edge, patented technologies – including camera hue correcting and light-refracting ingredients – it can be used alone or combined with make up to lend skin a beautifully subtle, versatile glow. NIOD’s Photography Fluid, Opacity 12% is like a real-life photographic filter that will swiftly get your face to flawless. Imparting radiance in a flash, this serum-textured treatment contains an impressive array of light-refracting prisms, colour-correctors and topical photo-finishing technologies. Bio-silica photo finishing prisms contain multiple grades of ultra-fine light-reflecting particles, which refract the light in thousands of different directions to instantly even out skin tone. Blurring nano spheres reduce the look of imperfections and minimise pores, while hue correctors reduce redness and counteract yellow tones. Alongside this host of advanced airbrushing ingredients, bio-sugar complex offers light, swiftly absorbed hydration to comfort skin as it’s perfected. 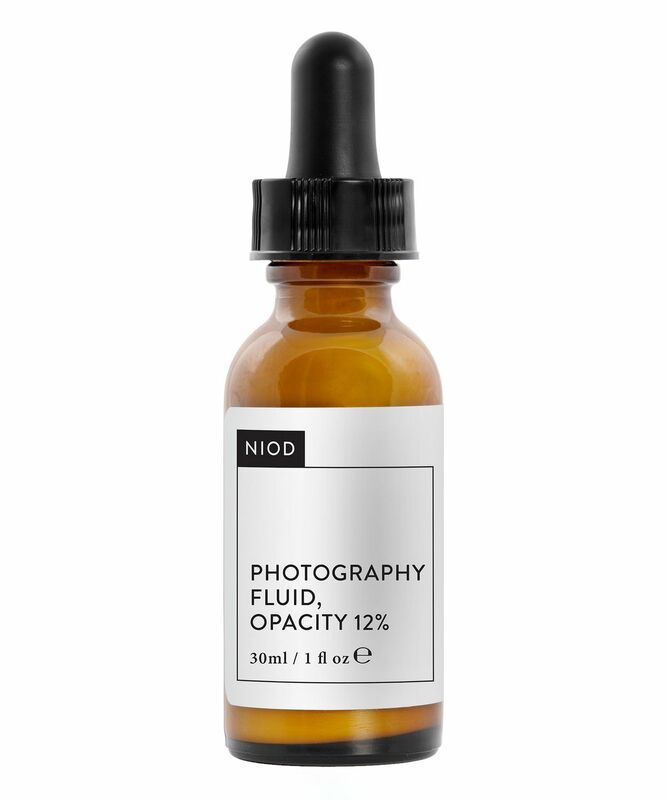 Beautifully versatile, NIOD’s fabulous fluid can be used alone, as a primer or mixed with make up to get a photo-ready finish. I use this after moisturising, mixed with a small amount of Embryolisse cream as a primer. I fix my foundation with setting powder and it gives me really nice, glowy finish all day long. I don't think that this will work well on acne prone/oily skin with large pores but it works really nicely with normal or mixed skin. Use it alone for a fresh glow or as a step after primer under foundation for a healthy, dewy look. I love this product! I have fair skin and very dark under eye circles so it takes a lot to make me look less like a zombie but somehow this product manages it. It has a 'lit from within' look to it and I've had so many compliments on my skin and how healthy I look since wearing it. I haven't noticed any issues with it under foundation although due to the opacity it does shine through quite clearly leaving a dewy/highlighted look which personally I like. I'd definitely recommend for pale skin. I bought this as I suffer acne and needed something to brighten my complexion and blur imperfections. It did absolutely nothing for my skin at all. My skin was even more oily than normal, foundation practically melted off my face and broke me out so badly. It gave me awful under the skin spots/bumps which I never suffer with. 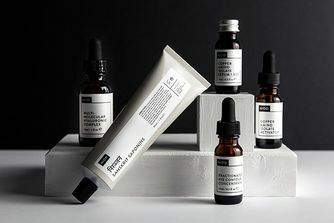 I definitely wouldn't recommend if your oily/acne prone or sensitive. It’s ok on its own but a disaster under foundation, makes it go very patchy. Not really worth the money. It does make your skin dewy and a little bit healthier, however, it doesn’t blur imperfections and doesn’t go well under foundations. I put this on after moisturising and it was very shimmery and almost gold like. I then put foundation over but it sat in my pores. Maybe it should be on its own or I think it might look better on younger skin. I use it as a primer under medium-consistence foundation. It looks like the delicate soft glow on my skin. Great for those who don't like too much shimmering skin and prefer natural result. Does make skin dewy, but I find it difficult to use under foundation. When I use a brush my foundation separates with the primer. I would recommend using a blending sponge for a better finish. I love the concept of this product, but I simply can not make it work. I made it work once and my skin looked absolutely beautiful, I did nothing different that one time, but ever since I have not been able to make it work. It is really hard to blend evenly on to the skin, so it ends up with an unappealing patchy finish. People have been asking me whether I went on holiday, that I look fresh and fit. I think it must be this product since I have been receiving compliments when I wear it. I absolutely love how my skin looks in but the tiniest bit of foundation over it and my skin looks perfect with that glow I was desperately looking for.